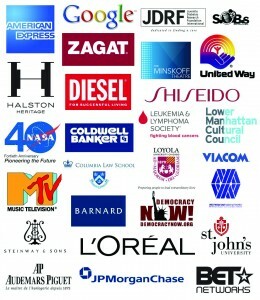 (See a partial list of brands and a link to our catalog on the right column of this page). T Shirts– Over 20 Brands Of Short Sleeve And Long Sleeve T Shirts To Choose From For T Shirt Printing. Custom Printed Bags– Totes, Computer Laptop Bags, Messenger Bags, Backpacks, Garment Bags, Laundry Bags, Briefcases, and Sport Bags. Apparel Sportswear– Both Tops And Bottoms For Running, Volleyball, Basketball, Football, Tennis, Soccer, Baseball, All Sports! 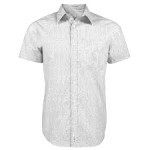 Printed Woven Shirts– Long Sleeve And Short Sleeve, High Quality Oxford, Twill and Poplin Shirts. Golf Shirt, Sports Shirt & Polo Shirt Printing & Embroidery– Pique, Mesh, Jacquard, And More. 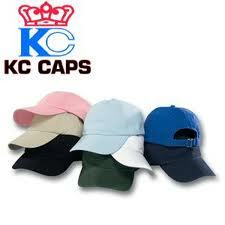 Customized Hats and Caps– Twill caps, Trucker Hats, Beanies, Mesh, Safari Hats And Visors. Customized Hoodies And Sweatshirts– Zippered and Unzippered Customized Hoodies And Sweatshirts. 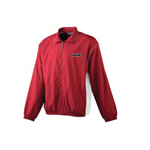 Embroidered Jackets– Bombers, Pullovers, Fleece, Leather and More. Embroidered Towels And Towel Printing– Beach Towels, Fingertip, Hand Towels, and Promotional- with grommets or without. 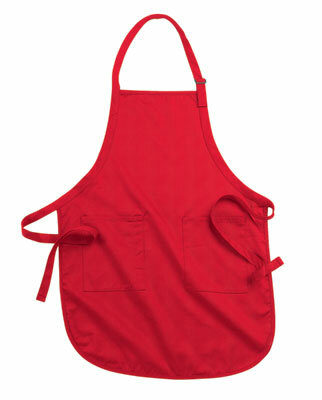 Apron Printing And Embroidered Aprons– Adjustable, bib, butcher, smock and vests. “We needed a 100 customized shirts in a week and Nova did the job! Excellent artwork but mostly the communication was outstanding. We got exactly what we wanted. We will be back! Have you placed orders with other printers & embroiderers only to receive items that were clearly not what you ordered? Found misprints on the garments that were unacceptable? 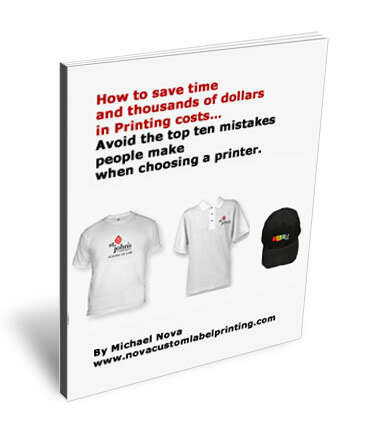 Are you tired of t shirt printing orders just taking too long? C. There is clear communication between you and your t shirt screen printing vendor, who is easily accessible by phone and email. Tired of having to receive a shipment from across the US, that takes an extra week and triple the cost of shipping locally? Maybe you’re not experiencing A, B, C, D, and E, and therefore you’re still shopping for the right printer/embroiderer. Well, all of these benefits can be experienced by working with a solid, dependable t shirt printing vendor. We’ve heard all the “miss” horror stories of those missed deadlines, mis-communications and misprints from other vendors. We will show you how each of these potential pitfalls can be avoided. My name is Michael Nova. Owner and founder of Nova Custom T Shirt Printing & Embroidery. We started our company in 1995, and after a relatively short time, found ourselves doing t shirt screen printing and embroidering apparel for major clients like MTV, Halston, Google and many more, by making sure that every single garment was “always done right on time”. At Nova, work directly with one account representative throughout the process, and we will be communicative every step of the way. We’ve completed thousands of custom apparel and custom t shirt printing and embroidery jobs for both major corporations and small startups. We’ve gained years of experience, and have the foresight to avoid possible problems before they happen, by advising of possible conflicts, errors, or delays that may arise out of graphics submitted that are not to the proper specifications, scheduling issues, or availability of specific garments. So whether you are considering corporate clothing or custom printed t shirts for small business, we can help. We offer the fastest turnaround in the industry, as fast as 24 hours, and we’re networked nationwide, with facilities across the nation. So wherever you are, we have a facility near you, to take advantage of local shipping rates and fast delivery. We offer not only Silk Screen Printing & Embroidery, but also Heat Transfer and DTG (Direct to garment) Printing. Regarding DTG, we print about 20k DTG images monthly and are one of the largest DTG printers in the nation, in fact, the largest east of the Mississippi with a quality rating of .5% defect rates, while the industry allows for 3.0%. The Kornit machinery we use is clearly the industry leader in DTG printing machinery. We also have both east and west coast facilities for convenience. We don’t give automated price quotes on our website, because, unlike other companies that offer t shirt screen printing, we don’t offer the same exact custom t shirt printing service to everyone. We treat everyone as an individual, not as a robot. We offer high quality custom t shirt screen printing, not cookie-cutter, run of the mill work that looks like everyone else, because we want our clients work to stand out, and get noticed! Please take a look around our custom t shirt printing and embroidery site and see how we are different.